I'm not particularly fond of changes, but this one looks like a GREAT one! This post includes affiliate links. Thanks for your support. This is new to me, and it looks fresh! In short, Craftsy Unlimited is now Bluprint!! Starting today, the promise is a 'beautiful new beginning'. And it really looks like one! I love sharing my favorite crafting and creativity ideas with readers of AppleGreen Cottage, as well as talk about the go-to sources to find inspiration. 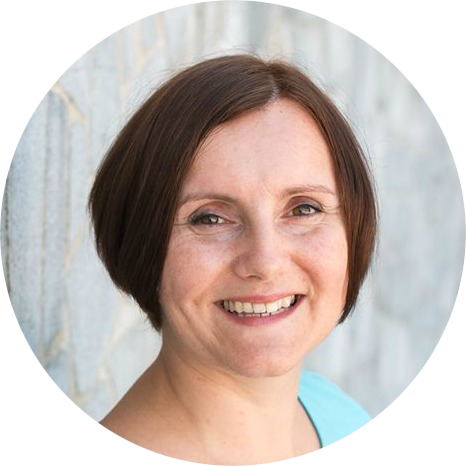 Craftsy is one of those I always love to recommend, and I've learnt a lot about sewing from the platform. Some time ago, they started concentrating on offering courses, introducing Craftsy Unlimited which I already wrote about. Now, a change is coming. It's called Bluprint. Starting today! 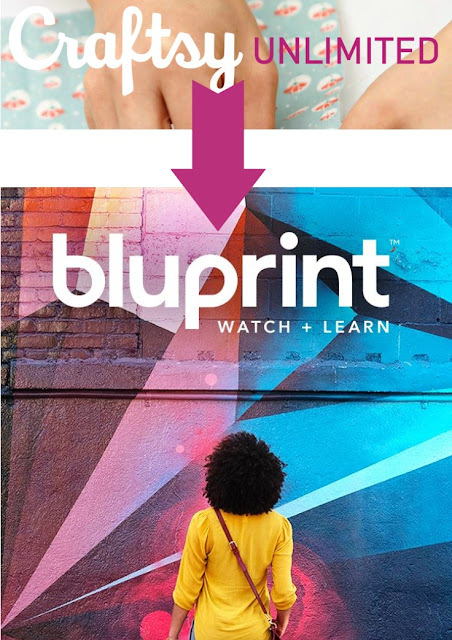 Craftsy Unlimited has rebranded to become Bluprint, a new platform with expanded categories like dance, yoga, art, and home decorating (plus all the original arts and crafts categories you love). 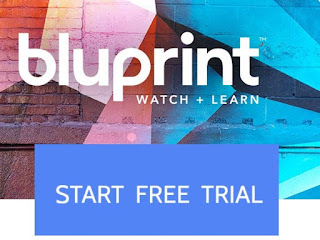 FREE 7 Day Bluprint Trial + 33% Off First 3 Months - Or $20 Off Annual Subscription. If you're curious, try it out now - their offer ends Aug 1st. Whether you’re an expert quilter or an amateur artist, a just-because baker or a lifelong yogi, you can finally spend more time tapping into the things that make you tick. 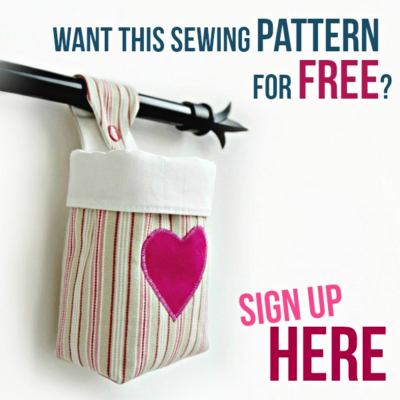 All Sewing Classes Are Here To Stay + New! All the classes and shows you’ve come to love are sticking around. 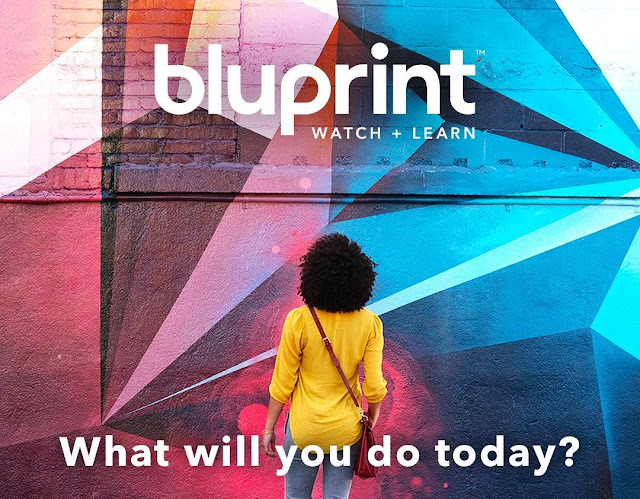 People at Bluprint say (and the new site proves it!) that the switch merely means adding a ton more, including new interactive features, original series, and categories. Sounds promising, and surely it looks promising. I checked out the new categories and even I went there to check out sewing only, I have realized I might want to try a few new hobbies soon! There seems to so much new stuff to try out! Which one looks the most tempting to you? The 3 Questions I Had - Answered! 1) What happens to my purchased Craftsy classes/patterns? Your classes and patterns will remain in your Class and Pattern Libraries, regardless of your Bluprint subscription status. 2) Is Craftsy.com going away? Don’t worry, Craftsy.com isn't going anywhere. 3) If you had already signed up for a Craftsy Unlimited subscription, what happens now? Great news! 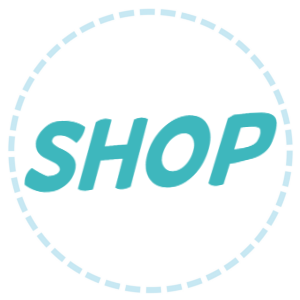 Your Craftsy Unlimited subscription automatically carries over to Bluprint + you’ll get even more videos, patterns, and exclusive content than before, in many more exciting categories! It goes without saying, and this is necessary for me to consider a subscription program to be serious: it is available 24/7 on ALL devices. I want my class to be available when I'm waiting at the doctor's office, or finally having the time to go sip that coffee in the city cafe by myself, no kids around.